Wash and soak kudumpuli in water. Grind together coconut, shallots, giner, garlic, turmeric powder, red chilli powder, coriander powder to a smooth creamy paste. Add 1 tbsp water while grinding. 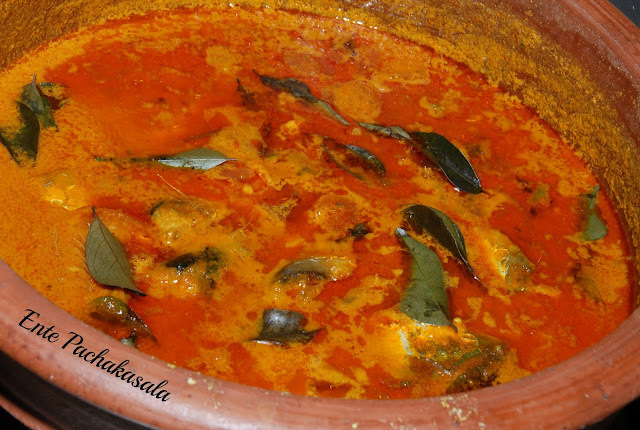 Pour oil in a manchatti/pan, add curry leaves. Add the ground paste, fry till the raw smell goes away. Add tomato, fry till the tomatoes turn mushy. Add cocum and slitted green chillis. When the gravy starts boiling, add fish pieces. Cook till the gravy turns thick. Remove from fire, add curry leaves. 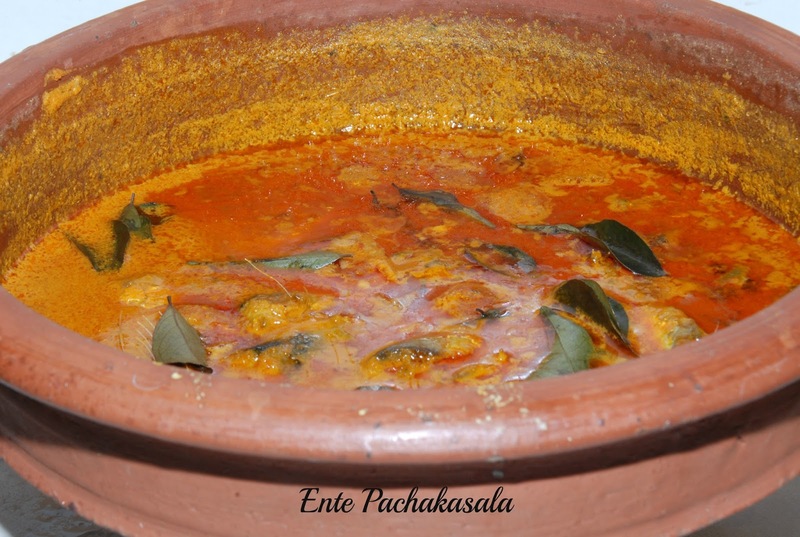 Serve with rice or appam.